The most impressive thing about them is their minimalistic modern style. However, there is a lot more that you should know. Each model in the collection has a frame made of commercial-grade aluminum, which is 2.125 inches thick. This metal is light and very strong at the same time. This makes the frame resistant to forceful impacts. At the same time, due to the lighter weight of the door, the rate of wearing of all moving metal components is lower. The major advantage of aluminum over steel is that it is naturally resistant to rust and corrosion. There are three finish options for the frame. 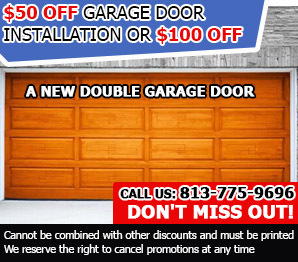 The anodized coating is hard-wearing and this means that it will offer reliable protection from the damaging environmental effects for a long time to come even if the overhead door is extensively used. The powder coating is also very good. Its primary advantage is that it cannot be adversely affected by salt in the air. This makes it suitable for coastal areas. The brand's patented Ultra-Grain finish is protective paint which is made to resemble the colors and patterns of natural wood. Each finish option comes in several different colors so you will certainly find something that matches your personal taste. 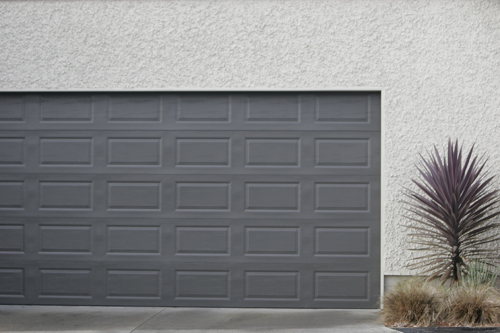 The panels of the Clopay aluminum garage doors have two finish options. It is possible to go for clear anodized aluminum panels. The white color has classic appeal. The other option is to have panels with Ultra-Grain finish. There is a choice between two colors: light cherry and dark cherry. In any case, the panels will look as if they are made from wood.